Expertise from Hind Consultancy Services Ltd have been engaged to run a transformation project at NHS England. The project will look to implement a new commercial and procurement structure focusing on non-clinical spend. The work will include creating a new structure with policies and procedures to support the NHS England corporate teams. Our work with the Dept of Health has been extended from today to include the provision of a Procurement Business Partner service to its Arms Length Bodies. This include 15 organisations including the NHS Commissioning Board, Monitor, Health Education England and CQC. The LGA has approached Hind Consultancy Services Ltd to provide support to Wirral Council around procurement and shared services. The work will start this month with a series of meetings and reviews. As part of the LGA Productivity Expert programme Hind Consultancy Services has undertake a procurement review at Hyndburn District Council. A copy of their report can be found at http://www.hyndburnbc.gov.uk/downloads/13._Procurement_Strategy.pdf. 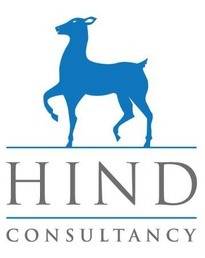 As part of the LGA Productivity Expert programme Hind Consultancy Services has been commissioned to undertake a procurement review at Pendle District Council. The review will commence January 2015 with a report being made available March 2015.